Have you ever experienced an amazing trip? A journey where if you think you have seen it all, you cannot avoid keeping your mouth open as you feel enchanted all over again? Well, without doubt this route will be a trip you will never forget. It is a journey of more than 2.000 kilometers in which you will discover beautiful landscapes, observe flora and fauna, experience culture and try delicious typical dishes! 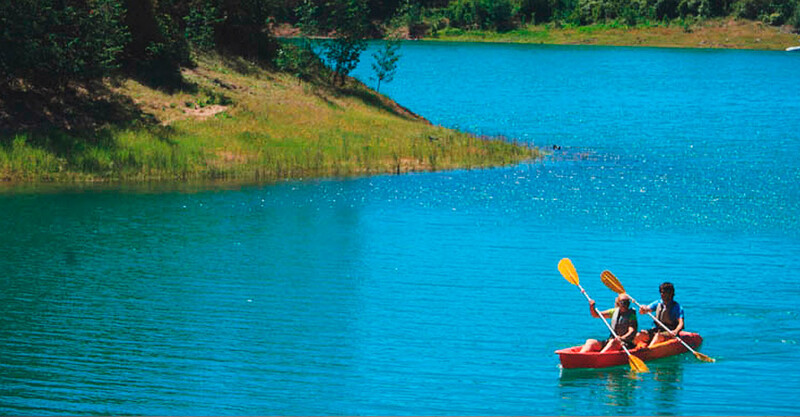 According to your personal interests in this route you will be able to experience outdoor activities such as going kayaking, trekking, or scuba diving. 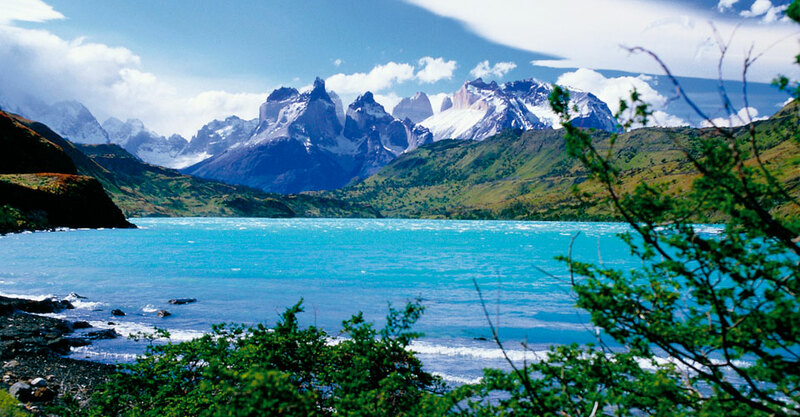 Moreover, if you prefer to explore this new destiny, you can visit the astronomic observatories, or visit "Pisqueras" or the Valle del Elqui, observe the desert flowery, photograph truly unique landscapes or bathe in the beautiful beaches of the north. 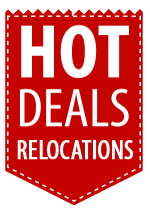 If you are a traveler seeking adventure, you can decide what you want to do as you become enchanted with the many possibilities this area has to offer. Day 1 - The Adventure begins: way up to San Pedro de Atacama! 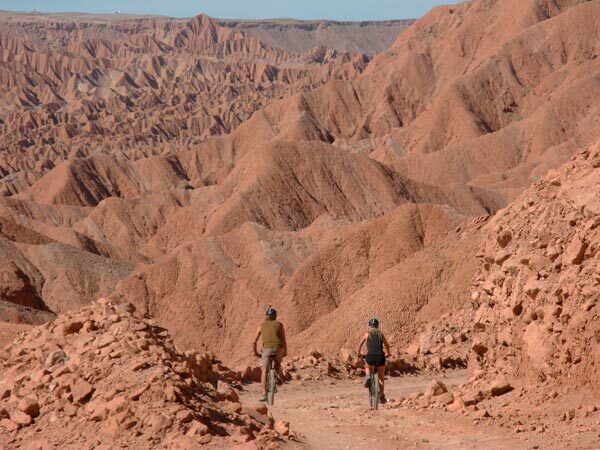 We advise you to pick up your vehicle early in the morning to begin your great adventure to the Atacama Desert! The first stop scheduled for our first day on the road is La Serena, located at approximately 6 hours from Santiago. 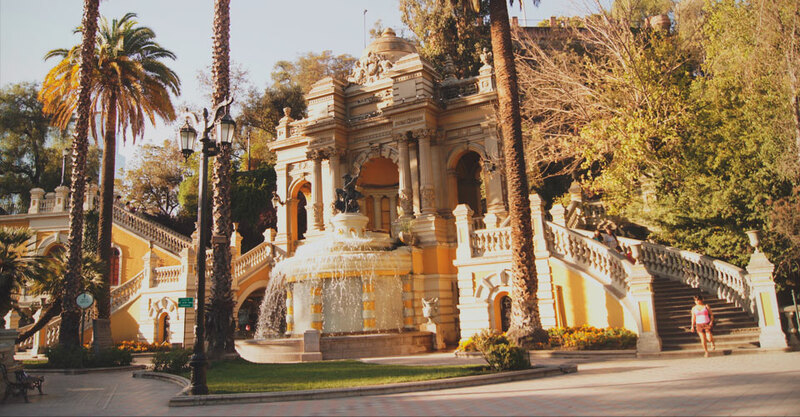 We invite you to start the day visiting the interesting city of La Serena and/or its surroundings. Location: 114 km (70 miles) Northeast of La Serena. 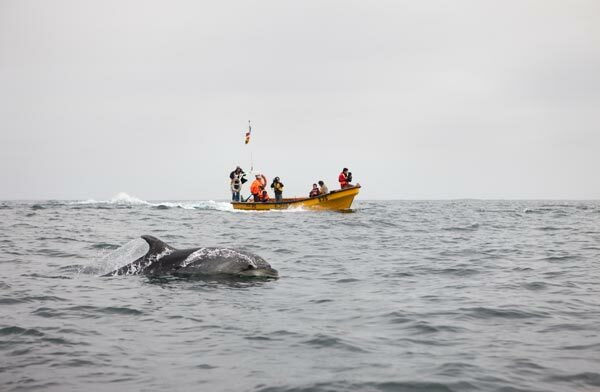 This magical place is well-known for its Bottlenose dolphin colonies, chungungos (marine mammal similar to an otter), Humboldt penguins, among other marine species. Also, Punta Choros is home to three main islands: Gaviotas, Choros and Damas. The last two islands are part of the famous National Reserve of the Humboldt Penguin. Location: 71 kilometers (41 miles) East of La Serena. Considered a scientific, touristic, and educational Complex where you will have the opportunity to watch clear starry skies all year long. If you are interested in having an amazing "starry experience" in the clearest skies in the country, ask for information on the highly recommended a night tour. After a great adventure in La Serena, the trip continues far North to Caldera and its surrounding places. Caldera is highly known for its interesting spots that will give you the opportunity to live a Marine Life Observation Experience, visit beautiful beaches and become part of Historical Museums. A second chance to become enchanted in your visit to Caldera and its surrounding places. Consider saving a full day to visit and explore Pan de Azucar National Park. Located at 100 kilometers (62 miles) from Caldera, Pan de Azucar National Park is a magical place born in an 800-meter Coastal Farellon above the beach. This farellon is well kept due to a dense mist coming from the sea known as Camanchaca. The climatic phenomenon moistens cactus and bushes growing in the bottom, that flourish in a rocky and ochre-colored background. The Norte Grande has scarce Coastal Flatland areas because the Coastal Mountain Range creates steep cliffs that generate an abrupt fall to the sea. 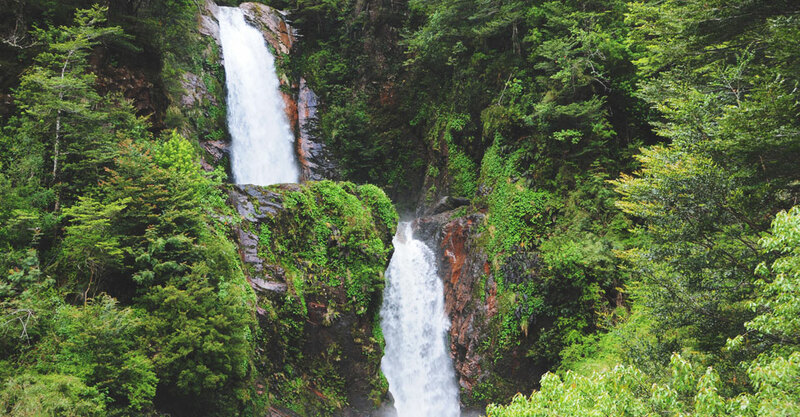 This natural phenomenon is called Farellon Costero and can reach heights of 1000 meters. After two days of experiencing the wonders of Caldera and nearby places, the journey continues further North to visit Paposo Resort, a Fishermen's Cove and Ancient Mining Town and Site. Paposo is the only Ethnic Patrimony of the Atacama Desert that keeps alive the rich herbalist tradition of the Region. After a past agenda of breathtaking landscapes and activities of personal interest, we continue our route as we start to get closer to the main objective of this journey: San Pedro de Atacama. The trip to the city of Calama takes several hours on the road, but as you arrive, Calama will warmly welcome its travelers. As part of the journey we will enjoy our afternoon here and collect provisions to continue traveling early in the morning. Spending the night in this relaxing part of the North will give us a chance to restore our energy after a long day on the road. After an energizing breakfast we get back on the road to finally reach our destiny in San Pedro de Atacama! As we arrive, the first day will be dedicated to walk freely in what looks like a desolated town but treasures the magic and landscapes of ancient days. Become amazed by typical handicrafts of San Pedro de Atacama and enjoy gastronomical experiences that will give you the true and unique flavors of the North. 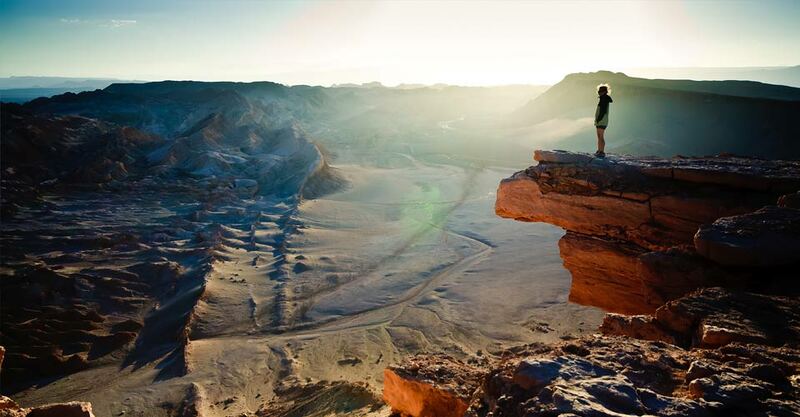 During the afternoon a must-see are two of the jewels of Chile, Valle de la Muerte (death valley) and Valle de la Luna (moon valley), the first approach to the driest deserted landscapes in the world. As the sun starts to set you cannot miss the sunset at the top of the dunes of the Moon Valley, an experience that will leave you speechless in this magical breathtaking scenery sought by many world-travelers. If you thought you had seen it all on the first day, San Pedro de Atacama still has other wonders to share with you, such as Ojos del Salar. A group of lagoons located in the Atacama Salt Flat, will allow you to feel the gravitational effect created by a high concentration of minerals in the water. Ojos del Salar is the home to Two Lagoons known as Cejar and Tebinquinche, located in the northern part of Salar de Atacama or Atacama Salt Flat, at a distance of 30 kilometers (18 miles) from the City of San Pedro de Atacama. 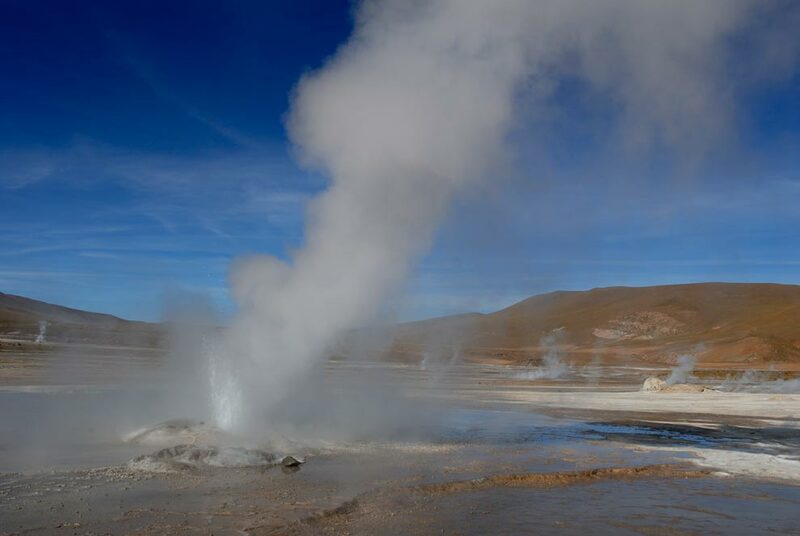 On the third day, and more adjusted to the altitude of the place, you cannot leave San Pedro de Atacama before visiting one of the most amazing natural wonders of the Region, the Tatio Geysers. If you are accustomed to unusual altitudes reaching 4,000 msnm (altitudes above sea level), we advise you to arrive in your Camper. If the altitudes seem too extreme we strongly suggest you take a scheduled tour and leave the Camper safely parked. The Tatio Geysers are the hidden treasures of the North. Full of fumaroles (geological term for the phenomenon) sharing this space with thermal pools or hot springs, make a hot bath in the middle of the desert sound like a welcoming and unique experience. 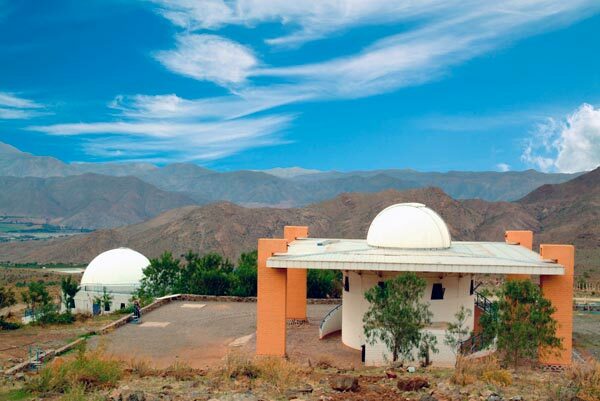 After magical adventures in the land of natural treasures, we highly advise you to visit another type of wonder, the Observatories of the region to make your experience at the Atacama Desert even more memorable. On the fourth day of our journey, we recommend you to visit the Atacama Salt Flat, located at only 55 kilometers from the town of San Pedro de Atacama. This particular spot of the Region is home to one of the most beautiful habitats and unique for its Flamingos which can be seen inside The National Flamingo Reserve. Three species of flamingos share the Reserve together with other bird species. If archeology is one of your favorite fields, the fossilized rocks, wood and other minerals will invite you to travel through prehistoric times, since you will be amazed to know that the ground where you will be standing was submerged under seawater thousands of years ago. If you move to the north part of the Salt Flat, you will find Tulor Village, an archaeological site formed by interconnected construction sites that date back to 800 B.C and 500 A.D. The site, which remained buried for many years, reveals an uncovered portion made by scientific excavations. As we start our trip back to Santiago, we still have some important stops that cannot be missed. The first in our list will be the Antofagasta Portal known in Chile as "La Portada". It can be seen as you enter Antofagasta from the coastal side, and is considered a natural attraction since "The Portal" is made out of sedimentary fossiliferous rocks reaching altitudes of 40 meters. 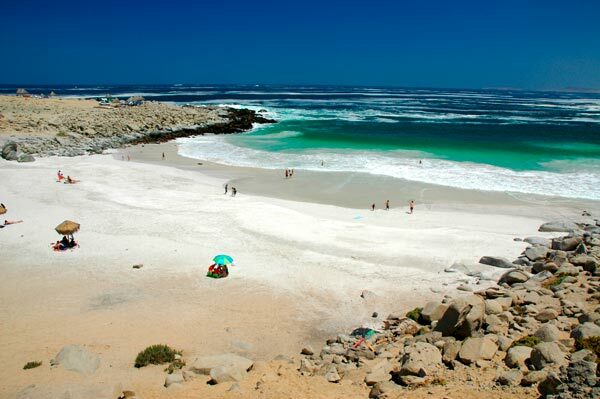 Nature flourishes as sea lions, Humboldt penguins and other marine species make this unique spot in Antofagasta their home. The first trip of the day is returning to Bahia Inglesa. The afternoon will give us plenty of time to relax and enjoy the landscape of this wonderful Resort. Since getting here requires a long time on the road, we highly recommend to make an intermediate stop to stretch our legs in the city of Taltal. A free day to explore Bahia Inglesa. It is a perfect Resort to take a break from very intense adventures of the past days and taste the specialties of the north and the unique flavors of its seafood. Some fun activities you can choose from are: scuba diving, surfing, kayaking and choosing to visit some of the more than 90 beaches in the area. As the afternoon approaches, we will start our 6 hour drive in our return-trip to La Serena. 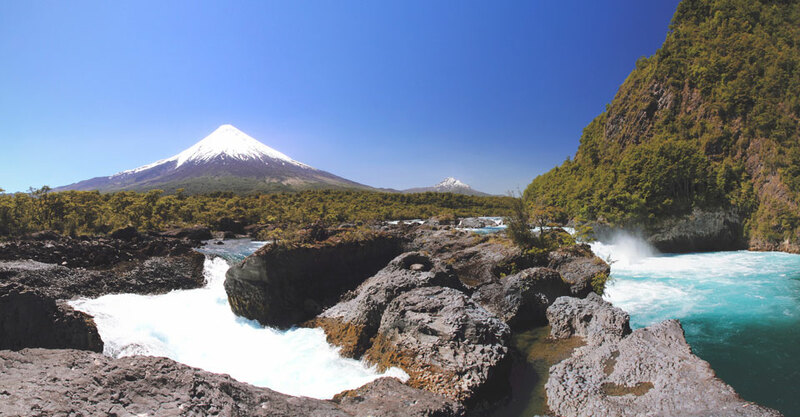 Apart from La Serena the closest place to visit is the Elqui Valley. It is located only 90 Kilometers (55 miles) to the South of La Serena and considered one of the most magical places of the Northern Region. 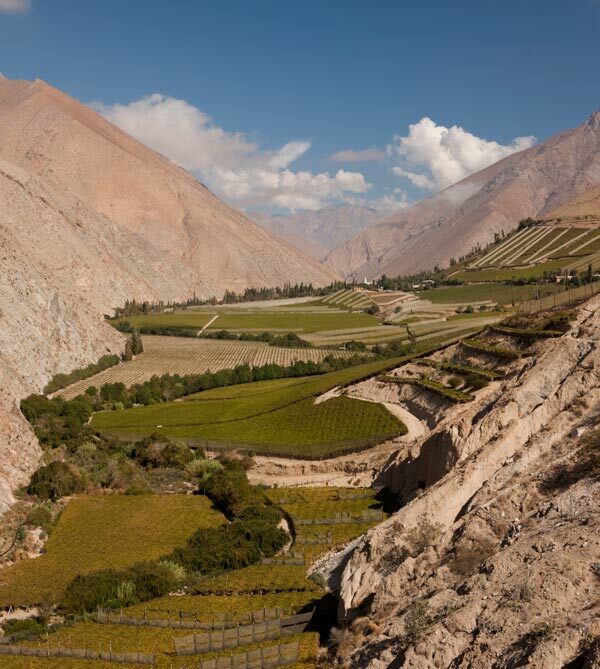 Covered by beautiful hills, Valle del Elqui is by far a magical town and space where the riverbank of Rio Claro and tributary of the Elqui River create a meditation spot to admire the beauty of nature and the clear waters in this breathtaking setting. If you are the kind of traveler who likes to try rich products of the rea, a visit to the Pisqueras might be an interesting activity to finish a great day. Here you will experience the True Chilean Pisco Sour made from fresh and high quality products. As we get closer to Santiago, two must-see cities are Valparaiso and Viña del Mar. The first stop in our list is The Jewel of the Pacific, Valparaiso. It is is very well known as the city of poets and a place where important traditions are enriched by a particular and different urban landscape. Houses of different colors which seem neatly placed on the hills create an interesting contrast with the Port, a place where Ships and Cruises disembark making Valparaiso even more surprising. This beautiful city is recognized as World Heritage Site by UNESCO because it shelters a rich cultural and historic life. A more different but also very beautiful city, located only 15 minutes away from The Jewel of The Pacific, is Viña del Mar. It is a well-known Resort and the most popular in the country for citizens and tourist from different parts of the world. After enjoying our last morning, we will head back to Santiago treasuring important memories, places and adventures in our journey through the North of Chile and being able to say we visited the driest desert in the world. In the last part of your trip, only three hours away from Viña del Mar the trip finishes as you arrive to our Parking Lot in Santiago. The time has come to say farewell to a special travelling companion that made this unforgettable adventure a reality.